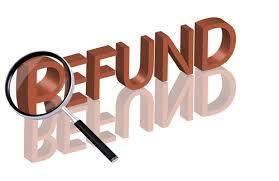 Affiliate marketing refunds are a natural part of this business model. You may be wondering what happens when someone asks for a refund for a product you have recommended and promoted. There are actually two answers to this question. The first one is that the platforms we all use to sell and track our sales have built in systems for handling refunds. Whether someone paid for a product with PayPal or using a credit card through a merchant account, the transaction can be reversed and everyone made whole again. That’s the legal term for this event, but it certainly does not tell the entire story. First of all, you never, ever want to recommend a product or service from someone you are not familiar with. This is just good business sense, especially because we are doing business on the internet in a global environment. Also, if you have not purchased a product and used it yourself it doesn’t make sense that you ask others to do so. The only exception I make to this rule is if someone I have done business with online releases a new product, and then I am very likely to recommend this to my community because the vendor has already established their credibility and has a track record. Another way I work to avoid affiliate marketing refunds is to offer a generous bonus to those who make their purchase through my affiliate link. This way people are far more likely to consume the product they purchased and to make use of my bonus as well. I make every effort to offer bonuses that make sense for the product I am recommending so that everyone benefits. And if all else fails, I stand behind from I recommend and promote. I offer what I refer to as my “Green Seal of Approval”, meaning that I will give someone a refund if for any reason the product creator will not. This has only happened once since I became an online entrepreneur. No one I know has ever recommended that person’s products again, and that is how it should be. It’s kind of the way we filter out the people who come online and do not serve others. The online world is a small one, and no one is able to stay in business for long if they engage in practices that are not fair. I hope this article has been helpful to you in understanding more of the affiliate marketing business model. I continue to earn about forty percent of my income as an affiliate marketer and love connecting with people who create the products and services that we can all benefit from. Over the years these relationships become even deeper, and some of these people are the ones I count as my close friends on the internet. Do not allow the fear of affiliate marketing refunds keep you from becoming someone who is willing to recommend and promote products and services to others. This entry was posted in Online Marketing Tips and tagged Affiliate, Marketing, Refunds on February 13, 2017 by Connie Ragen Green.